Do as much research as possible to profile the actual judge. Create a “profile” of the judge, including what you know, what your colleagues and contacts know, including prior clerks if you know them, online biographical information (e.g., from therobingroom.com), input from local counsel, and of others you trust. Using your “profile,” research retired judges available and willing to serve as mock judges who are as similar as possible to the actual judge on important characteristics (e.g., experience, political orientation, expertise, leanings, age, etc.). Mediation providers are typically a good source. Choose 2-3 mock judges to serve as a good cross-section of people to approximate the actual judge. One mock judge (unless it’s a clone) cannot be a good predictor of one other judge. 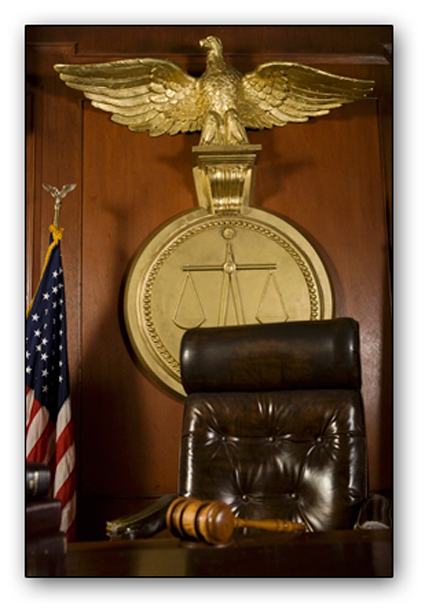 You may want to vary an aspect to differentiate the mock judges (what if your actual judge changes at trial? ), e.g., some with more experience and some with less. Say your actual judge has little patent experience, you might want a mock judge who also lacks that knowledge, but it behooves you to have a savvy one as a good informer of what you might be missing in your presentation, arguments or legal theories. Mock judges are expensive, so use their time judiciously. Most charge hourly plus expenses. Choose the most critical reading material to provide to them in advance. Prepare well, considering ways to balance the thoroughness of the material presented before and during the mock bench trial with the cost of their time. Use strategic summary litigation graphics to cover a lot of material in less time and to avoid unnecessary confusion (e.g., organizational chart, chronology of key events, highlights of key testimony, background of experts, etc.). Make sure these are balanced for both/all sides. Get the best mock opponent you can. Ego aside, it is useless to win at a mock bench trial because you stacked the deck against the other side. Make sure the mock adversary has just as good a trial presentation and supporting litigation graphics as you do, is at least as skilled a presenter, and knows enough about the case to answer questions that may arise impromptu from the mock panel. Hire an experienced trial consultant to serve as a neutral advisor in drafting the presentations and eliciting feedback from the mock judges. The answers may be influenced by who is asking the questions, so it is best if the mock judges do not know who is sponsoring the research. Rehearse and then rehearse again. Get feedback from colleagues to refine the content and style of your presentation to assure you are not practicing while you’re on the mock judge’s meter. What was most/least persuasive for each side? Was anything confusing or superfluous? What do you wish was presented or supported visually? Which points should be reworked versus abandoned? Why? What did you like and dislike most in the presentation styles of the presenters? Did anything turn you off completely? What? From what you know of the actual judge, what would strengthen each side’s position? Is there anything or anyone you didn’t believe? Who/what/why? Never mock the judge, unless you’re doing a mock-bench trial. In that case, mock them well.